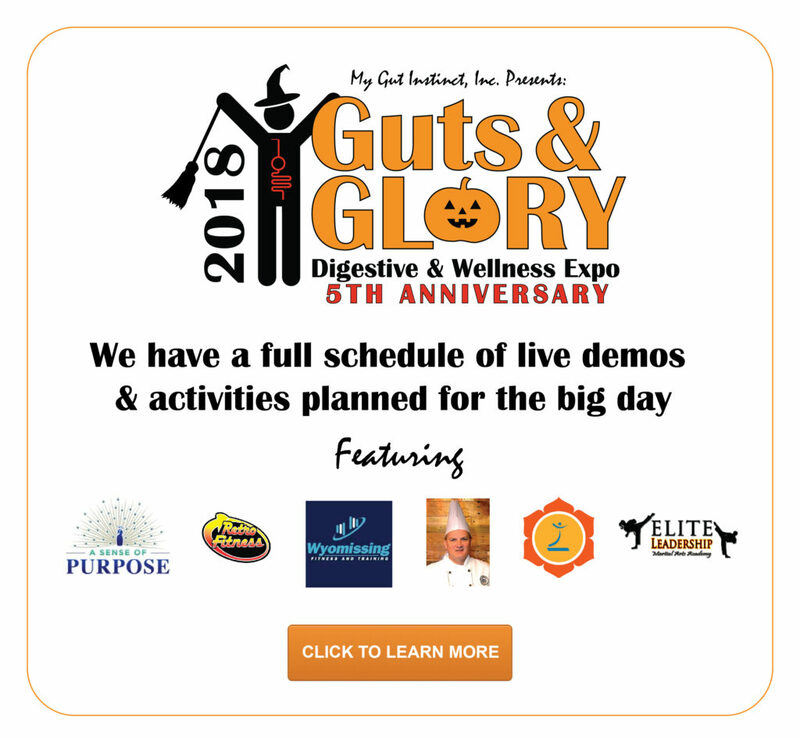 There’s a belief that states “You can’t out-train a bad diet,” and while exercise is crucial for overall physical, mental, and emotional wellness, the body cannot reach an optimal state of health without a properly balanced and nutritious diet. Food is fuel, and our bodies require proper macronutrients and micronutrients to perform optimally in school, work, and play. 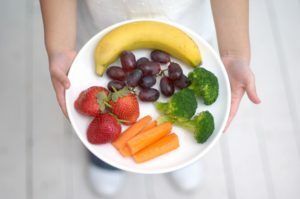 Keys to maintaining a healthy and well-balanced diet include: variety, portion control, food preparation, inclusion of fruits and vegetables, and small, frequent meals. A good rule of thumb is to CREATE COLOR on your plate. Fruits and vegetables, including red, orange, green, yellow, blue, purple, and white, provide a wide variety of vitamins and minerals needed to maintain optimal function of your body. These micronutrients include fat soluble vitamins (A, D, E, K), water soluble vitamins (B, C, E), and minerals, such as calcium, chromium, copper, iodine iron, magnesium, manganese, molybdenum, and phosphorous. Micronutrients provide energy and aid in functions of the metabolism; and maintain vision, immune, nerve, lymphatic, and bone health. They contain antioxidants, which help to prevent the onset of aging, improve circulation and prevent blood clots, improve memory function, maintain urinary tract health, and reduce free radial damage. Adding color to your plate can be easy and fun. Allow yourself to get creative! 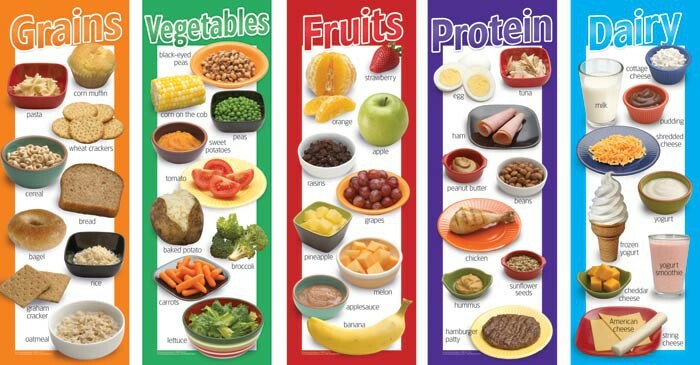 Foods are grouped together based on the similar key nutrients they provide. 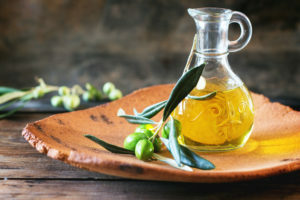 It is important to eat a wide variety of foods from all groups, as well as a variety of foods in each specific food group, to ensure the body is receiving necessary nutrients. Grains: Grains include whole grains, or complex carbohydrates, and refined grains, or simple carbohydrates. 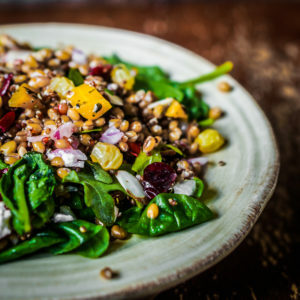 Whole grains include a higher fiber and protein content, which helps to maintain stable blood glucose levels and satiety throughout the day, allowing an individual to feel fuller for a longer period of time. Whole grains include whole-wheat products, brown rice products, quinoa, oats, and sweet potatoes. It is recommended that half of daily grain consumption should be whole grains. Refined grains include white bread products, including white flour, bread, pasta, rice; as well as pastries, snacks, sodas, and sweets. Although some refined grains are enriched with vitamins and minerals, these products are lower in fiber and micronutrients. Refined grains may lead to spikes in blood glucose and insulin levels, which may contribute to excess eating and unwanted weight gain. 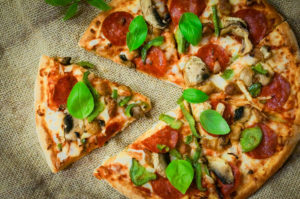 Vegetables: The vegetable food group includes fresh, canned, dried, juiced, and frozen vegetables and vegetable products. Subtypes of this group include dark green, leafy vegetables, starchy vegetables, red and orange vegetables, and legumes/beans. Fruits: The fruit food group includes fresh, dried, frozen, juiced, and canned fruit and fruit products. 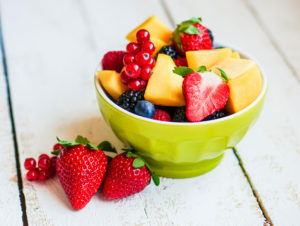 Different subtypes of the fruit group include citrus, berries, and melons, which provide antioxidants, vitamins, and nutrients that help to maintain overall health and longevity. Protein foods: The protein food group includes meat, poultry, seafood, eggs, nuts, seeds, legumes/beans, and soy products. Protein is essential for muscle maintenance and growth, as its structure of amino acids are the building blocks of muscle. A constant supply of protein foods throughout the day helps to maintain satiety, which helps to prevent overeating. It is recommended that individuals consume a variety of lean meats, as well as protein from seafood at least once a week. Eating a wide variety of foods between and within all five food groups will promote optimal overall health, helping to reduce the risk and prevent the development of disease. Foods found outside these food groups, such as candy, sweets, pastries, and soda products significantly contribute to weight gain, therefore, consumption should be avoided the majority of the time and significantly limited. ***Disclaimer: This does NOT mean you should eat as much as you want of each food group! Portion control is important to prevent toxicity or excessive quantities of any single nutrient, as well as unwanted weight gain. “Why do I still gain weight even when I’m following a balanced diet from all five food groups?” The answer is portion control. Portion control is a very important factor in considering why people gain weight. Weight gain does not occur from indulging in a single cookie, or enjoying an ice cream cone on the weekends. It occurs when food is eaten in excess, over a long period of time. It occurs when calories consumed becomes greater than calories expended. Therefore, portion control is an important skill to master in an individual’s journey of health and wellness. In general, the serving size of a particular food can be found on the product’s food label. Often, multiple servings exist in a single bag, can, container, or package of food, and therefore it is easy to overeat. It is important to be aware of an item’s serving size, and consume only the proper number of servings per meal. Because our food is not always presented to us with food labels, and we may not have tools to measure specific serving sizes, we should instill methods in our minds to help remember proper portion sizes of all food groups. According to the USDA’s MyPlate, half your plate should consist of fruits and vegetables, while grains and protein comprise the other half. More simply, one serving of protein is about the size of your palm, one serving of fruits and of vegetables is each about the size of a tennis ball, and one serving of grains is about the size of your fist. Fried chicken, grilled chicken, chicken tenders… “It’s all the same as long as I am eating chicken, right” No. 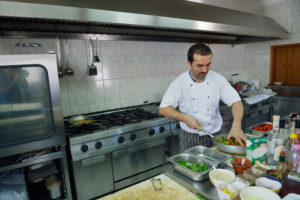 Poor food preparation can turn your healthy, low calorie meal into a fattening plate of extra, empty calories. Oils that are high in saturated fat, such as coconut oil, palm oil, and palm kernel oil, should be used sparingly. Lastly, use fresh herbs to season meals, as an alternative to prepackaged seasoning mixes. In general, these mixes tend to be high in salt, which, in excess, can be dangerous for overall health. Sustainable eating simply refers to a way of eating and consuming foods that is both beneficial towards the environment as well our lives. To be sustainable means to conserve resources and to prevent waste. 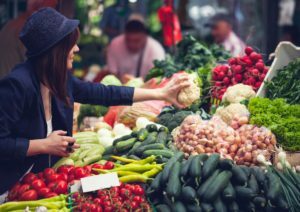 Individuals may practice sustainable eating by growing their own fruits and vegetables; consuming fresh, seasonable produce from local farmer’s markets; choosing to cook at home; purchasing foods with little or no packaging; and opting to utilize reusable bags for groceries. Consuming small, frequent meals throughout the day will help keep your metabolism active, providing a constant supply of energy for the body. Constant supply of energy will maintain levels of satiety, helping to prevent you from overeating. Additionally, fueling your body every 2-3 hours with the proper ratios of carbohydrates, protein, and fats will give your body ample time to properly digest all nutrients consumed and utilize each nutrient most optimally. 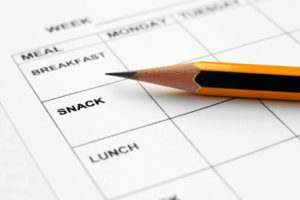 Consuming small, frequent meals can be beneficial, however, it is important to plan the timing as well as the content of each meal to ensure adequate caloric and nutrient intake. It is important to practice portion control to prevent excessive caloric intake. The higher frequency of meals eaten, the smaller the meals should be. Consider your total caloric intake, and divide the number by 5 or 6. For example, an individual who consumes 1800 kilocalories per day, should consume 6 meals of about 300 calories. Cooking in bulk or meal prepping over the weekend can help you to succeed in this method, as you will not find yourself scrambling for your next meal. Planning ahead also helps you to make healthier, more nutritious choices, and will keep you from deviating from your diet.